How can an ancient sacrifice impact you today? For the following illustration you will need to use your mind’s visual imagination. But how else could these triangles of blood relate? 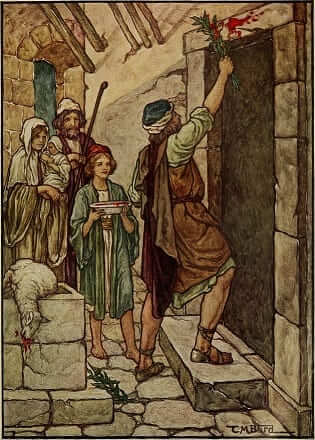 God delivers his people through the death of a lamb in the Exodus, as the Hebrew people obeyed God’s requirements. Yet, repeated annual sacrifices were required to cover over the people’s sin. Over and over and over again, the blood was spilled. Finally, through the death of Jesus, the ultimate sacrifice was made as God came down and fulfilled His requirements once and for all. So the deliverance and forgiveness for the Israelites was a triangle pointing up, and the deliverance and forgiveness for the world was a triangle pointing up. Nice to know, but what could this mean? Interestingly, if you merge and super-impose the two triangles, what appears? 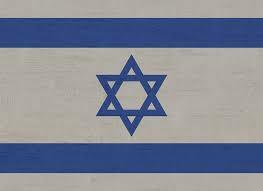 A six-pointed star, also known as the Star of David. Indeed, the Savior of the World came from Jewish roots. 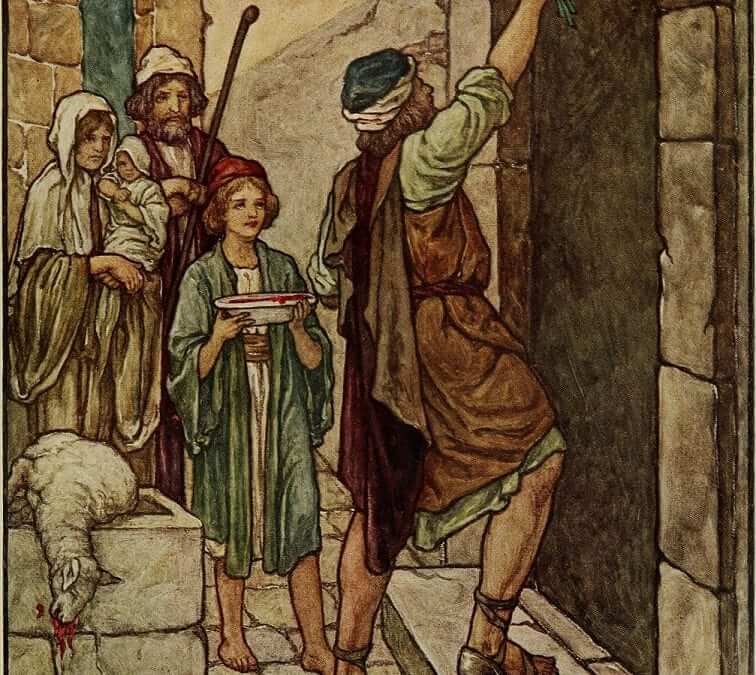 The foreshadowing seen in the Old Testament exodus benefited and saved one nation, and it paved the way for the ultimate fulfillment of Christ on the cross, who opened salvation and freedom for all who put their trust in him from any nation. Praise God with us that God is the Great Deliverer and that he still wants to deliver us from slavery, from addictions, from selfishness, from all sin, and ultimately from death. So what does this mean today other than providing an interesting thought experiment? First, we should pray for the peace of Jerusalem and for all the Jewish people that they will realize that the Messiah Jesus fulfills their Law, satisfies the demands of temple sacrifice, and provides a way of salvation for them today. Even their nation’s flag can point them to a relationship with God. While many Jewish background people have followed Christ over the centuries, many others remain resistant. Pray for their open hearts, and that they would understand that Jesus is the suffering servant of Isaiah 53 who offered himself “like a lamb to the slaughter.” We honor God when we seek to understand our Jewish spiritual roots as we Gentiles have been grafted into the spiritual house of Israel. Secondly, these “blood on wood” triangles give a great way to share the Gospel with others. Among the unreached people groups of the 10/40 Window as well as lost people anywhere in the world, there exists a faulty perception that humans can do something good enough to earn a relationship with God and have their sin removed. Some give money or time, or they go on pilgrimages, or they restrict or indulge their bodily appetites. Some expend vast amounts to placate spirits. Some imagine that their good and bad will be weighed in a balancing scale. Others think that devotion to family or country will suffice as good works that remove the sin within their hearts. Recently a Buddhist shared with us, “We try to do good things, but there is nothing to do about the bad we have done in the past. There is no answer for that.” Oh, but there is. And the answer is in the person of Jesus Christ who sacrificed himself to bring the world to himself. Great acts of devotion and personal sacrifice do not remove sin, and none can overcome the certainty of impending death. We need to find these people who are seeking to be made right with God and share with them the good news. That is the difference with Jesus. The cross cancels out sin and the resurrection overcomes death. Jesus came down to lift us up.